A diamond’s "cut" is different from its "shape." 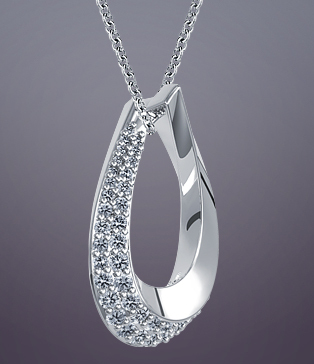 “Shape” refers to the general outward appearance of the diamond, (such as round, emerald, or pear). "Cut” is a reference to its reflective qualities. If you opt to buy a diamond without a certificate, spend some time looking at certified diamonds (where you know the Cut Grade) and train your eyes to identify the better cuts (by their "sparkle"). Remember that observable fire is increased in a slightly darker room (such as a candle light). Conversely, scintillation is maximized in strongly lit areas (such as an office). Fire and scintillation are simultaneously maximized by very strong, pinpointed light sources (such as the spot lights prevalent in jewellery showrooms). Unlike the other "Cs" (carat weight, colour, and clarity), the various Cut grades in existence today were not originated by GIA, and are not uniformly applied. In fact, GIA has only been assigning cut grades since 2005, and only to round diamonds. Even though retailers use common terms to describe Cut (such as Excellent, Very Good, Fair, Poor) the terms are not uniformly defined or applied. In fact, a diamond seller may assign any cut grade they choose, based on any set of factors they wish. Diamond prices jump at the full- and half-carat weights. Diamonds just below these weights cost significantly less, and, because carat weight is distributed across the entirety of the diamond, small size differences are almost impossible to detect visually. Remember that slender fingers make small diamonds look bigger. Think about what sort of setting will hold the diamond. 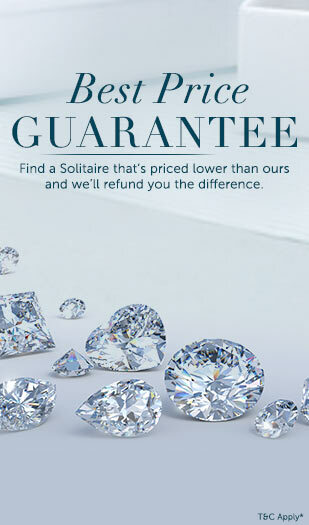 The setting you choose must be able to fit the carat-weight of your diamond. In diamonds under 1 carat, clarity should be considered the least important of the traditional 4 Cs. You can opt for a lower clarity range in exchange for a higher cut or colour grade. If your budget is tight, it might be possible to purchase a diamond with a visible imperfection, but hide it beneath prongs or bezels where it will not be seen. If you intend to wear the diamond on a regular basis, it is not advisable to wear FL or IF diamonds, as continuous wear and tear will reduce the clarity of these diamonds. Watch out for clarity enhancement techniques such as fracture filling and laser drills, which are used to lessen the impact of inclusions. As diamond size increases, colour becomes more noticeable. This is especially important to keep in mind if purchasing a diamond of two carats or greater. The visible difference between diamonds of one colour grade, for example G to H or I to J, is so minor it is difficult to detect with the unaided eye. The cost savings, however, can be significant. Diamond shapes that reflect more light (i.e. have more sparkle), such as round or princess, can mask some colour in a diamond. The type of metal in which a diamond is set can complement its colour. Consider setting diamonds graded I or J in yellow gold. White gold or platinum best complement diamonds with a colour grade of D through H.